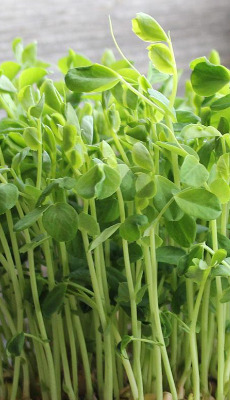 Dun Pea sprouts are crunchy and have a delicious slightly sweet fresh flavor. Like a cross between baby spinach and peas. They’re a good source of beta carotene, vitamin C, folate, and fiber.